Bricasti’s M12 Platinum is a dual mono source controller supporting a huge range of analog input types to seamlessly integrate into any existing music listening system. The M12 Platinum’s pure dual mono signal path is controlled by a fully analogue gain and level control ending with a D/A output stage capable of operating exclusively within the analogue domain, and with zero loss of resolution. 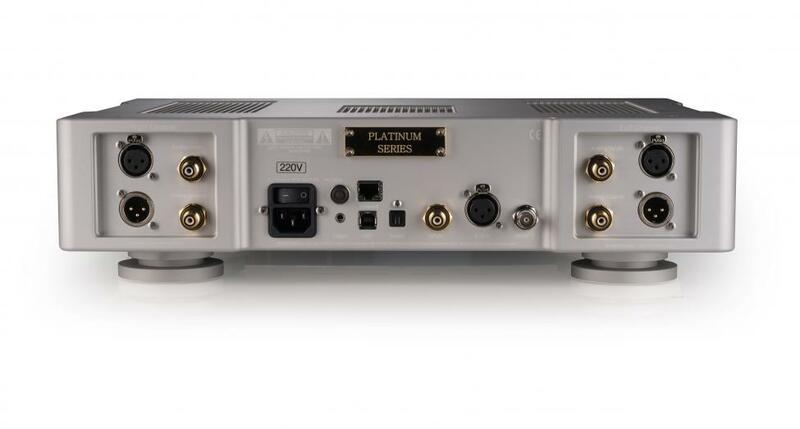 Faithfully serving the ever evolving hi-fi audience, Bricasti have implemented a network interface to enable discovery of the M12 Platinum as a DLNA device on any wired network. In line with Bricasti’s exacting performance standards, even systems spanning larger areas do not suffer from signal degradation in any way. The M12 Platinum also features a pure analogue DSD converter which again allows filtering entirely in the analogue domain. No digital processing takes place, and all filtering and noise control processes are accomplished at the analogue stage. TRS connector for 5V external trigger.